Living in a city as large and bustling as Singapore it is often hard to find open space, let alone areas that come with a sense of privacy and seclusion. In any large city, one of the key solutions is to build upward, with sky-high terraces offering stylish and practical areas of serenity and tranquillity. Rooftops come in many different shapes and forms, with terraces built to accommodate the sunlight, aspect and situation of the building. Today on homify we have collated 11 of our absolute favourites. These terraces are large, luxurious, with many boasting impressive panoramic views over the city skyline. 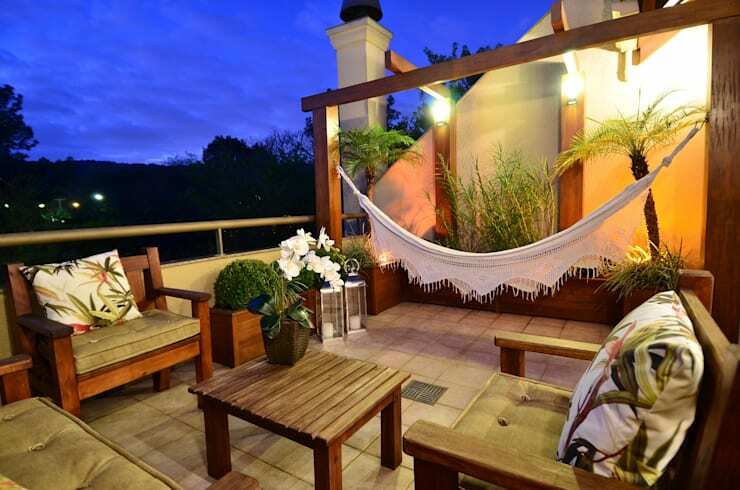 If you need some ideas for your balcony, terrace or outdoor area, take a look at some of these inspirational examples below! The first rooftop terrace we are taking a look at today is an incredible example from Studio Marcio Verza. This space epitomises all that we love about open outdoor space, and boasts an effortlessly chic design. The hammock is a standout feature, exuding comfort and relaxation. 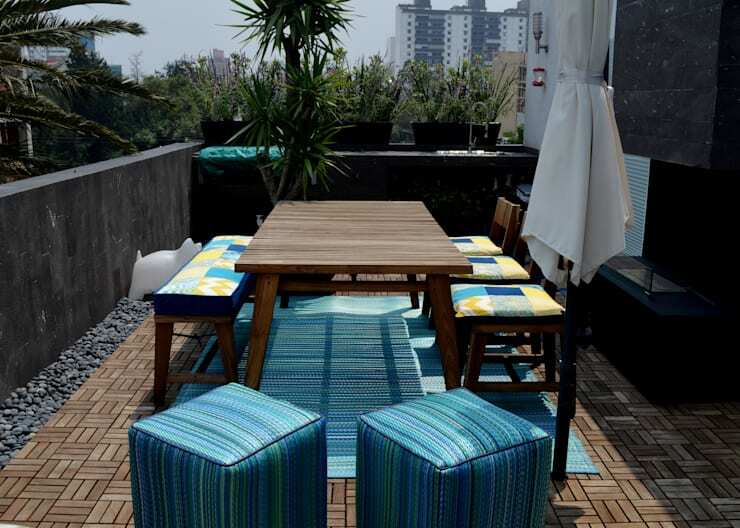 Next up we are visiting a rooftop terrace that is truly out of this world. 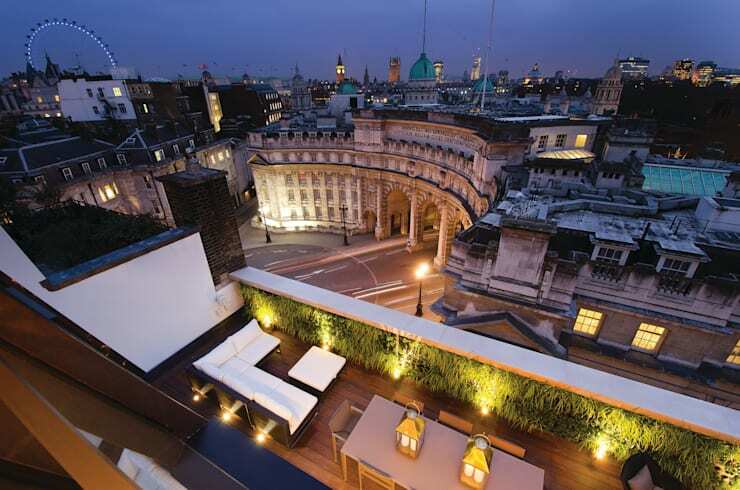 Designed by Moreno: Masey, and located atop the Trafalgar One, Canadian Pacific Building in London, this terrace comes replete with world-class views over some of the finest areas of London city. 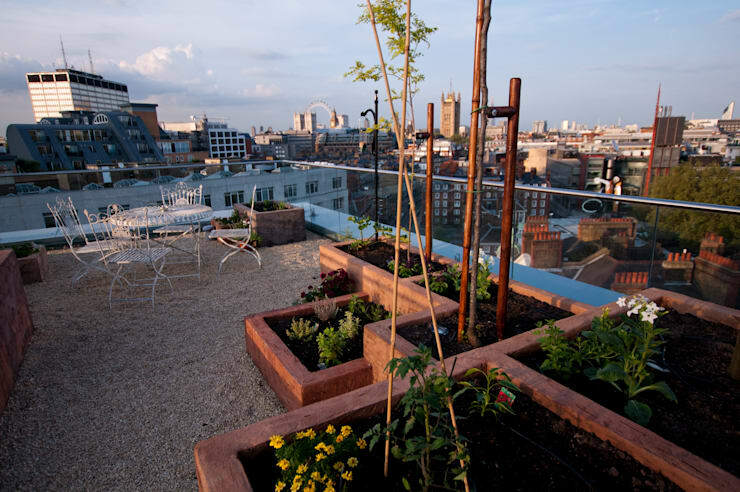 Another London rooftop, this impressively open space has been designed by Urban Roof Gardens, and is the ultimate in sky-high living. 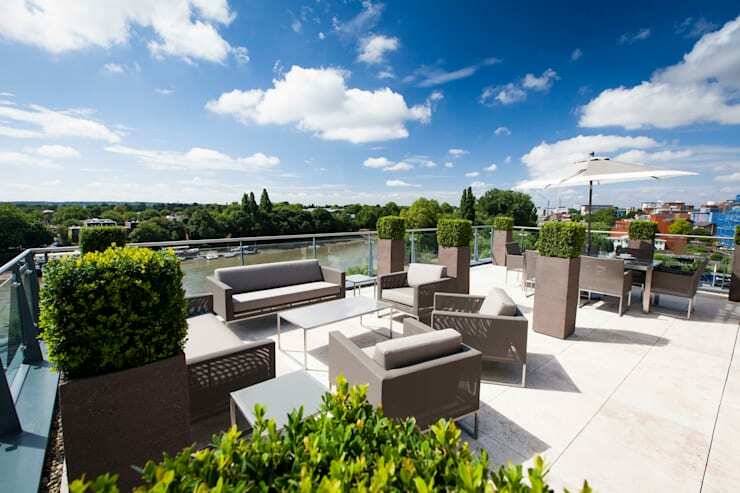 Rooftop terraces need to be places you desire to spend time in and what better way to achieve this than with comfortable seating? Here the seating is luxurious and comfy, perfect for cosying up and watching the world go by below. 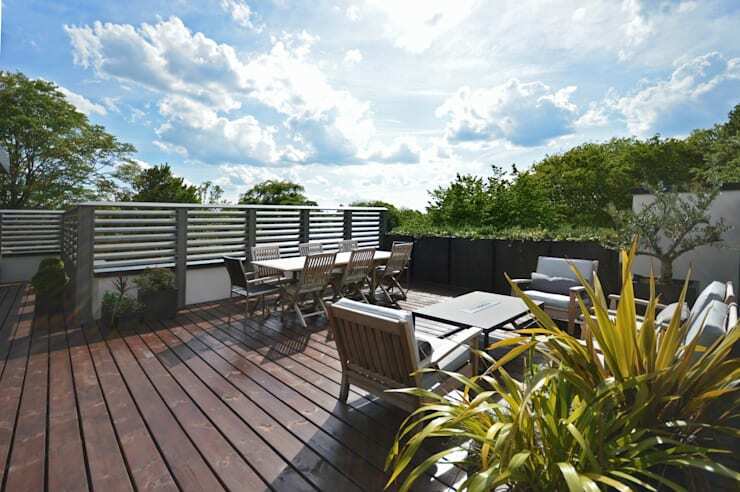 If you love entertaining then you are going to adore this next roof terrace. Replete with abundant space, this roof is chic, sophisticated, and the ideal area to host a fancy soirée or a snazzy shindig! If you need some help or assistance in decorating and designing your rooftop terrace or balcony, chat to a professional today. 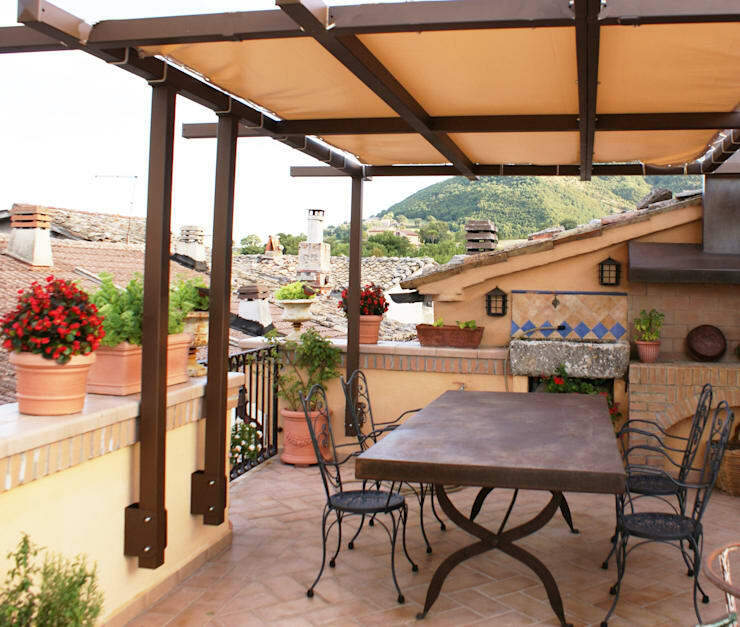 If rustic is your chosen aesthetic, this might just be the rooftop terrace for you! Here the furniture is sturdy and timeworn, with a sense of classic elegance and age-defiant charm. For that truly luxurious and opulent experience, this one really knocks the ball out of the park! 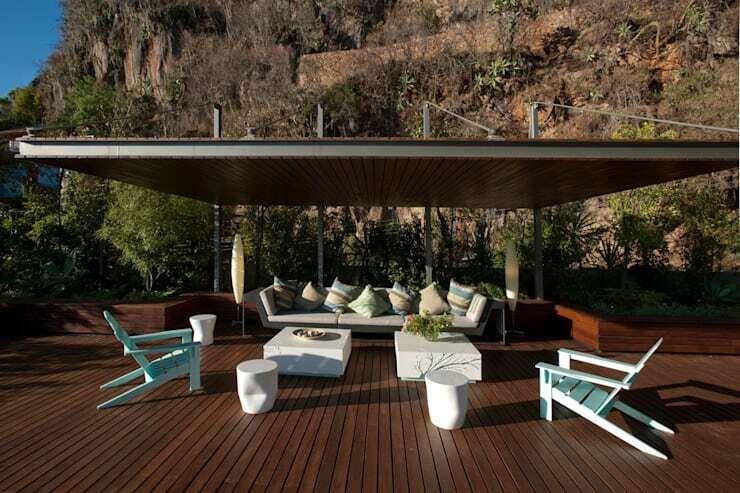 The gorgeous dark timber decking is contrasted with sleek white furniture. Here you really feel as though time is non-existent, giving a true sense of what it might feel like to own such a lavish and exquisite terrace. Now, terraces needn’t be large and luxurious to feel special and amazing. Here at number eight we have a fabulous open area that comes replete with stylish timber furniture, easily able to accommodate your friends or family for lunch/dinner. Views are often one of the most important factors when considering a rooftop terrace’s value and this example is sure to stun and delight! Perched high atop the city, this impressive example is truly astounding and perfect for taking in a little sun. 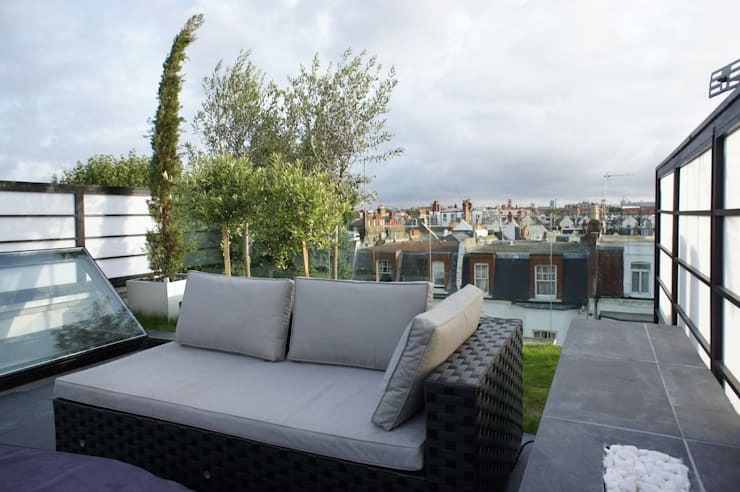 If you are looking for more than somewhere to simply sit and socialise with friends, then this roof terrace is the one for you. 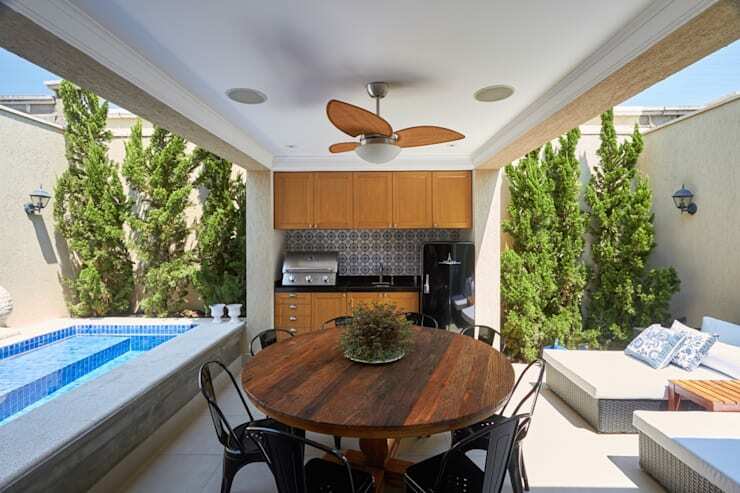 Here the space doubles as an area to relax and entertain with a swimming pool and outdoor kitchen/dining room. 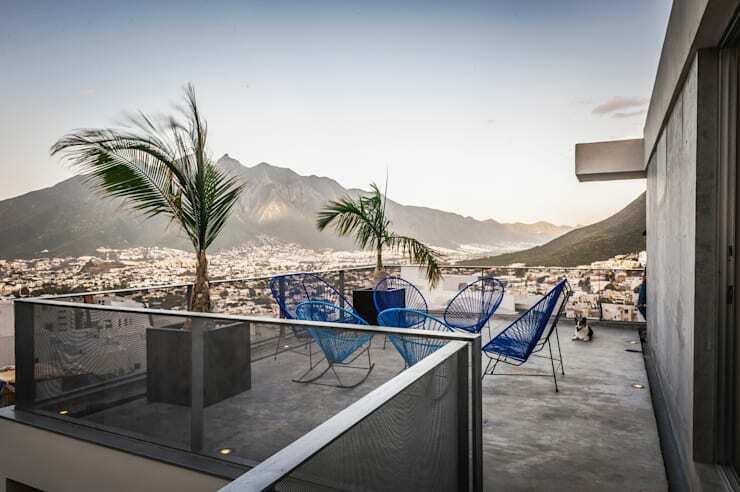 Last, but certainly not least, we take a look at a rooftop terrace that keeps its occupants safely away from the bustling city below. Here the large space has ample foliage, as well as numerous places to sit, sunbathe or throw a fabulous party for your neighbours. Which of these stunning roof terraces is your favourite? Are you lucky enough to have one in Singapore? Let us know by leaving a comment below!